The day has come. Americans across the nation will ditch work an hour early and watch their country’s soccer stars take on Belgium in the hopes of advancing to the World Cup quarter finals. Expect American flags, bald eagle memes, and much bragging if the US defeats Belgium and actually makes it through. This is the first time the Belgians have made it this far since 1986, but the Red Devils have certainly impressed in this World Cup. The Americans, however, successfully made it out of the “Group of Death,” eliminating soccer superstars Ghana and Portugal. If the USA advances, it would be the first time in 12 years that the country will have made it to the quarter finals. We’ll have to wait and see what happens later today, and concentrate for now on the matter at hand: The World Cup of Cars: Belgium vs. USA. Today, the Belgian-made Audi A1 is back and thirsting for blood. The A1 is an affordable compact car that offers the luxury of an Audi in a city-friendly body. 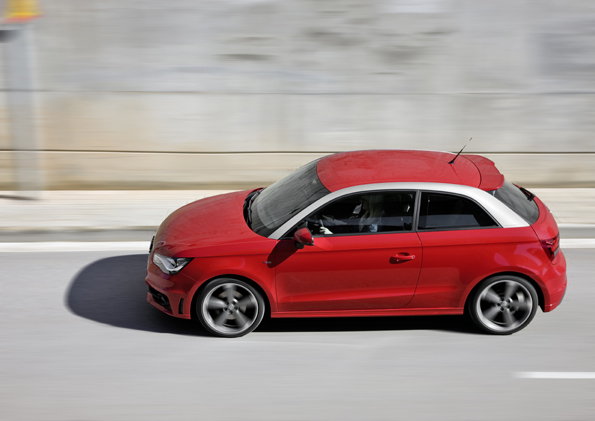 Although it’s small, the Audi A1 fits four adults relatively comfortably, and feels pretty spacious from the inside. Drivers can choose from petrol or diesel engines—each giving off low CO2 emissions and delivers high fuel efficiency. The A1 is stylish inside and out, and packs plenty of technology—such as its 6.5-inch retractable display screen and its 6-speaker audio system with two tweeters. All in all, the Audi A1 is an affordable and chic choice for young drivers or city dwellers who want a luxury vehicle without the bulk. Across the pitch, the USA plays the best-selling Toyota Camry. 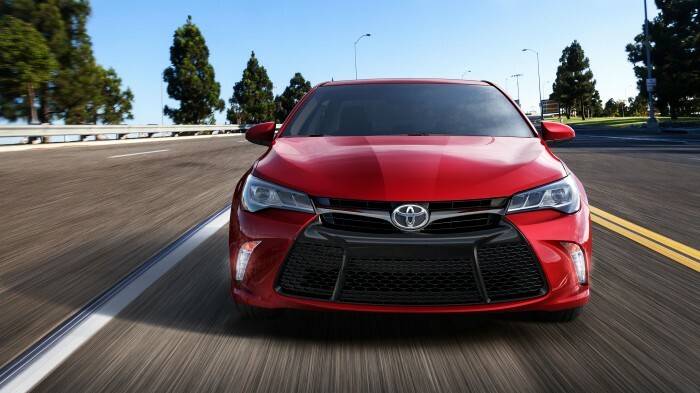 The Camry is well-recognized stateside, and is getting ready for a complete design overhaul for the 2015 model year. Changes will include a widened grille centered in a redesigned front end, cleaner lines, and an overall more modern feel. The interior also receives some major upgrades to make it feel more expensive without hiking up the price. Toyota has revised its infotainment system in the 2015 Camry, as well as giving it more fuel-efficient engine choices and increased interior space. All in all, the new Toyota Camry is expected to be an American sensation. While we’re impressed with all the 2015 Toyota Camry will have to offer, we’re going with the Audi A1 and Belgium as today’s winners. The look and feel of the Audi is extremely appealing, and although the Camry should be impressive, it’s still a Camry—which is, well, boring. But we hope that our soccer team will make fools of us when they defeat the Belgians later on today! Watch the Belgium vs. USA match today at 4pm Eastern on ESPN.